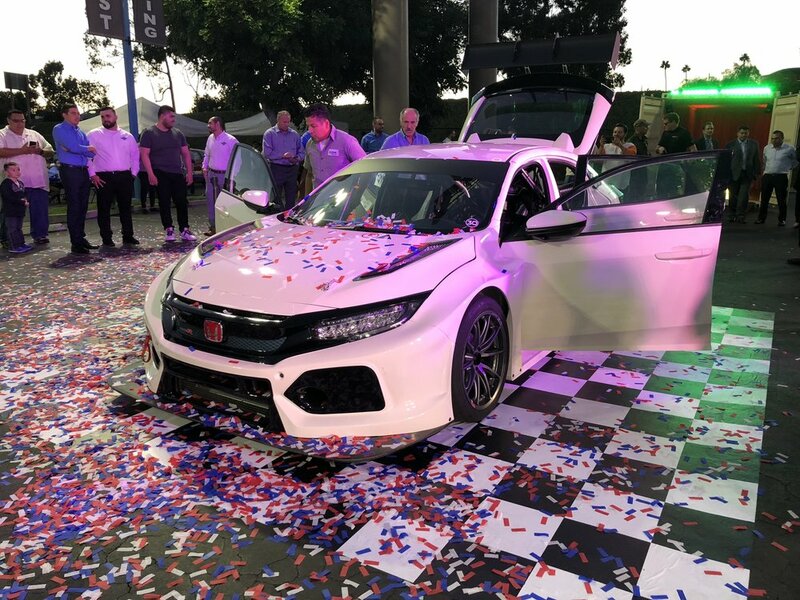 Honda Race Team Launch, Downey CA. 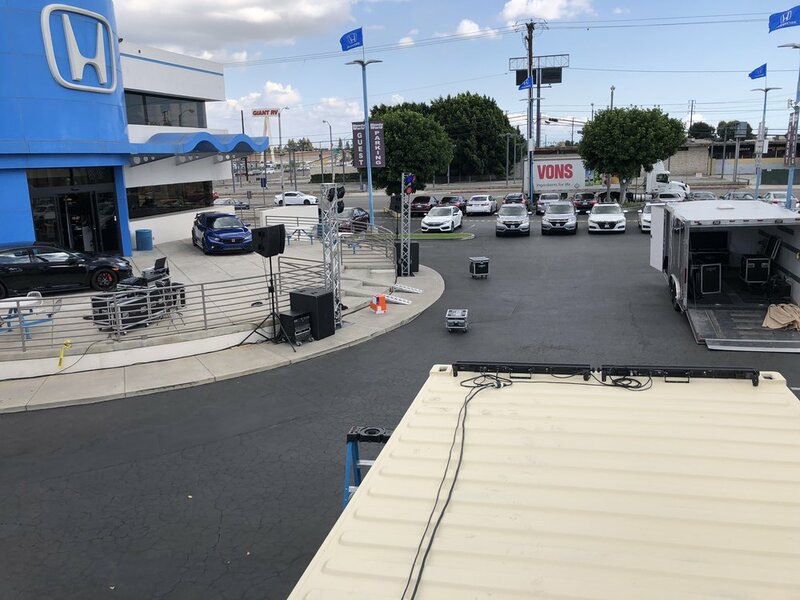 A close friend now owns a Honda dealership in Los Angeles. Apparently, when you own a dealership like this, you buy a race team to go with it. We were called down to provide sound, lighting and DJ this really cool event. The race car was placed in a shipping container, which we put lights in. The good folks at this dealership have never done an event like this before and they were all a bit awe struck to see how we do things in Northern California at his Bentley and Maserati dealership. Honda Corporate was there along with the race team management. It was a really fun event. Looking forward to watching their success.